Oceanic Art Society Forum: free Sunday events – BOOK ONLINE. Accompanying the two-day Oceanic Art Society forum: Aboriginal and Pacific art: collections and artists, then and now , the Art Gallery of NSW is hosting a day of free events, including a curator tour of the exhibition Melanesian art: redux and a screening of newly digitised titles from the National Film and Sound Archive of Australia. 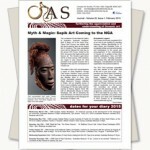 See here for more information on the Oceanic art society forum: Aboriginal and Pacific art: collections and artists, then and now. A series of archival films from Papua New Guinea in collaboration with the National Film and Sound Archive of Australia. 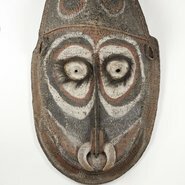 Join curator Natalie Wilson on a tour of the exhibition Melanesian art: redux , offering insights into the exhibition and the Gallery’s Melanesian art collection.